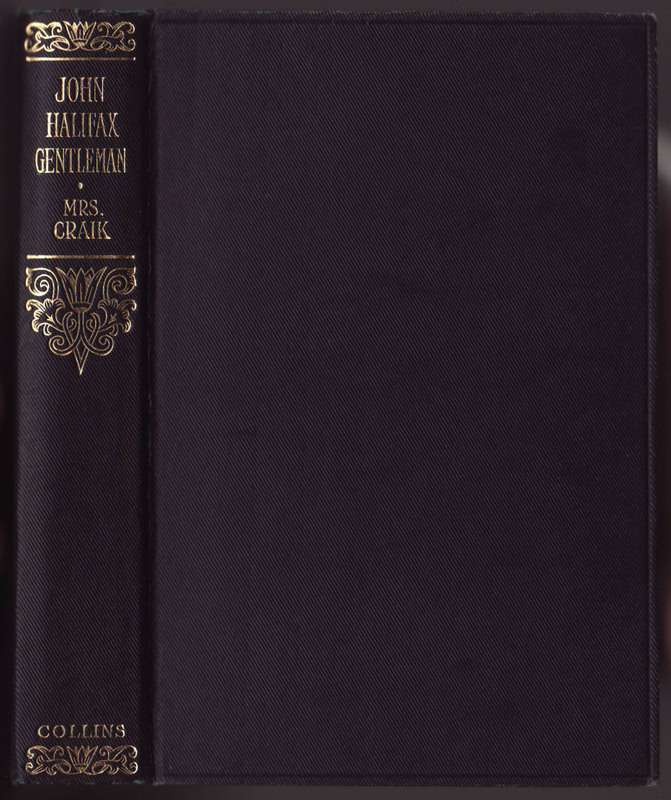 Collins & Sons Students’ Library is nothing more than a selection of titles from its Collins Classics series, retaining the frontispiece and title page, size and format, binding design, and even series serial number. The dust jacket is different from the Collins’ Classics – making this a series that varies only from its parent series in its jacket and name. I can find no advertising nor mention of the series in the contemporary publisher’s literature. Nor is the series it listed on WorldCat. This makes the 1928-1935 dates for the series a guess (based on the appearance of the book in relation to Collins’ Classics titles). As the only indication that the book is in the Students’ Library series is on the dust jacket, and copies without the jacket will seem like just another Collins’ Classics book. A guess as to the reasoning behind such a series is that it was an attempt to expand the market for Collins & Sons reprints, much like Collins’ very similar New Universal Library. That series, published roughly in the same time period, seems to have been a US-only issue of what were in essence Collins’ Classics books (around since 1903) under a new series name. The jackets for that series had some resemblance to the very popular Modern Library. The Students’ Library resembled, at least in name, the popular Modern Students’ Library published by Scribners’ in the U.S. 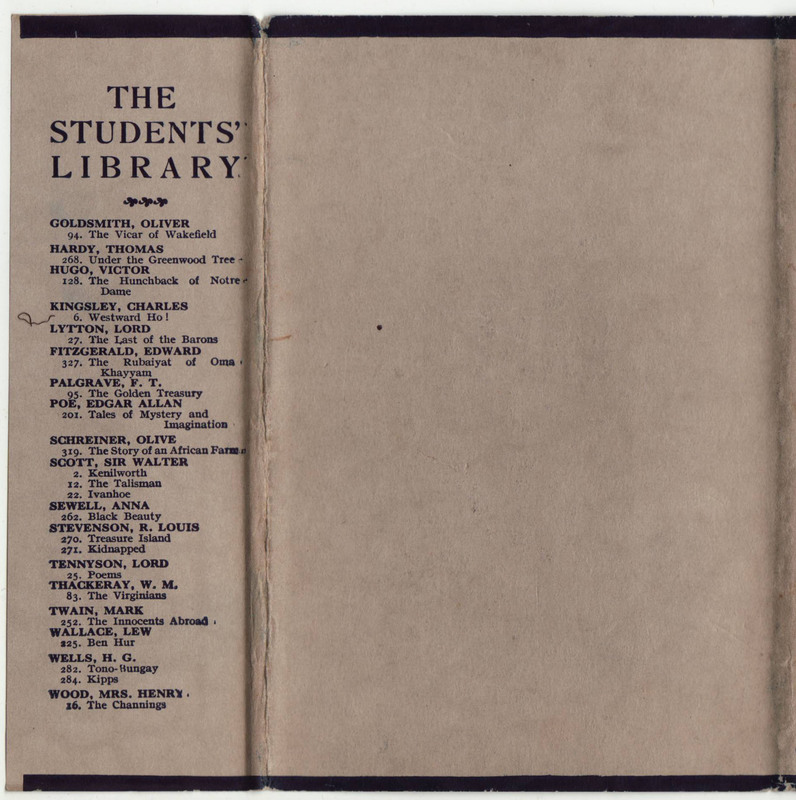 The few copies of the Students’ Library titles listed online are all in the U.S., save one copy, dated 1940, from England – but this copy is listed as a paperback. 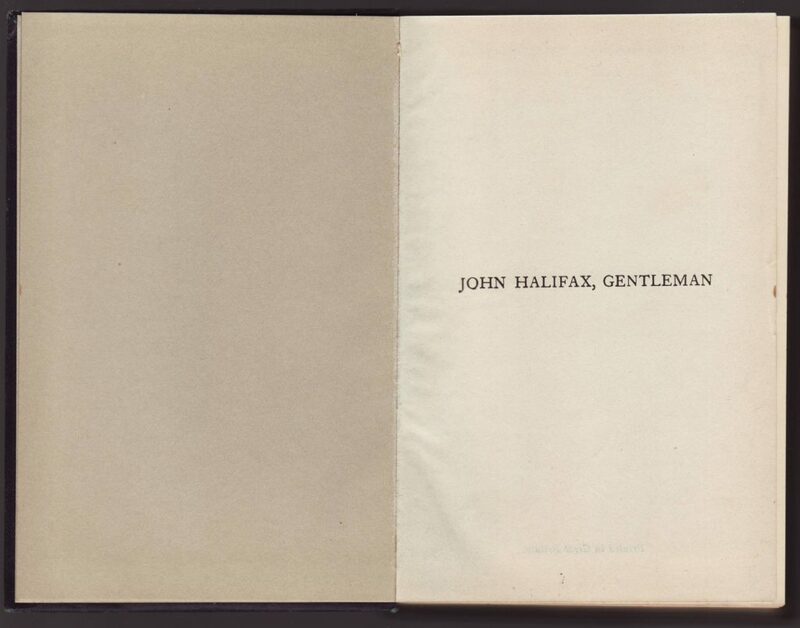 This copy of Craik’s John Halifax, Gentleman is undated but probably the late 1920s. 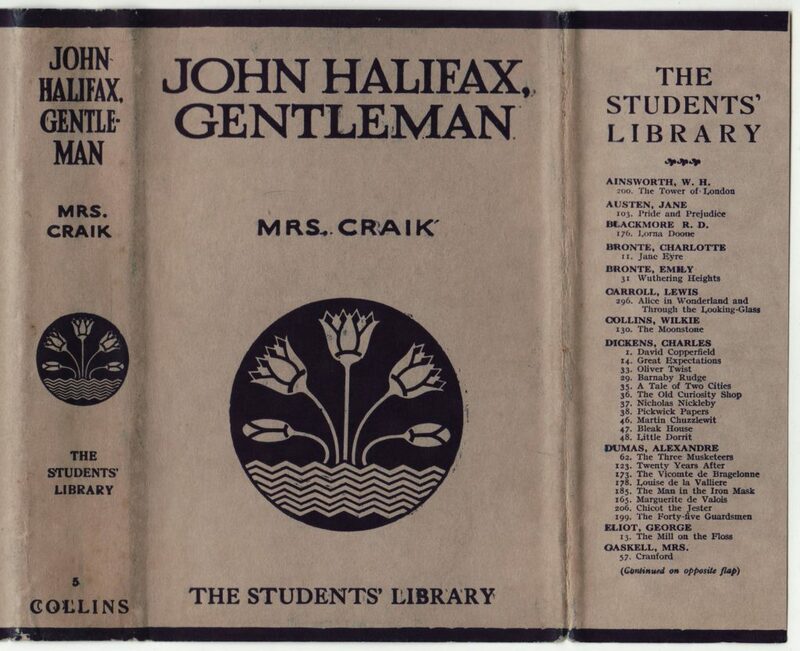 The jackets for the Students’ Library are common to the titles, with a stylized flower design on the front of the jacket as well as the spine. The series name indicated on the spine, the front of the jacket, and front flap. The series number (5 in this case) is the same as the series number for this Craik title in Collins’ Classics. The front jacket flap begins a list of titles in the series, which continues on the rear flap. A black band at the top and bottom of the dust jacket is similar to the red band on New Universal Library jackets and resembles a similar band found on Modern Library jackets of the era. One thought is that this series with its rather stern jacket, which was offered at the same time as the often bright and sometimes fanciful jacket designs used on the Collins’ Classics, carried a more sedate and scholarly aura about it and may have appealed to a particular segment of the book buying market. The rear jacket flap includes the series name and continues the list of titles. The back of the jacket is blank. The black, cloth-bound books use the same design as Collins’ Classics binding in the late 1920s and early 1930s. 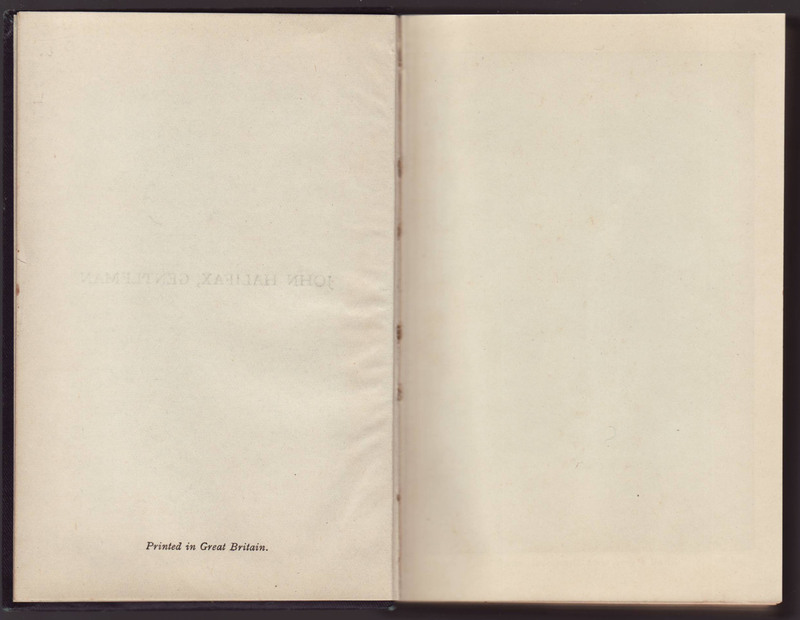 The “Printed in Great Britain” indication follows the half-title page. 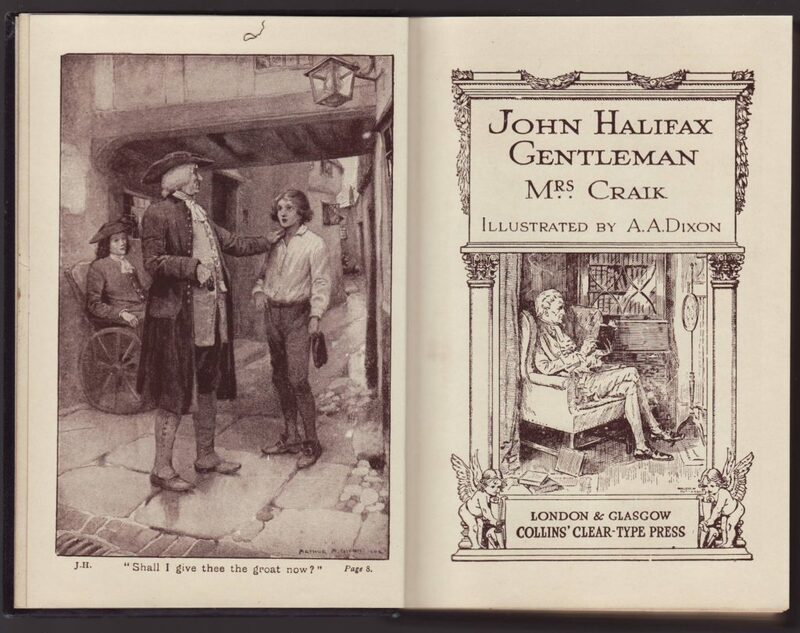 The frontispiece facing the illustrated title page is identical to late 1920s, early 1930s Collins’ Classics titles. The following page is blank (no date nor copyright indication). There is no catalog in the back of the book.